I'm loving SWhittingam's Flickr Set of this custom whip dubbed Rivercity Bling. This is a sweet, modern take on classic lines. 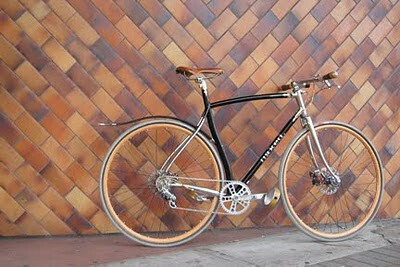 I really dig the aesthetics, components and innovations such as disc brakes, custom pedals and incorporated LED lighting. 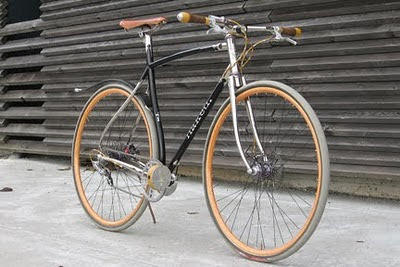 This is a refreshing reprieve from my current fixie fixation. Thanks again @bicycledesign. Wow, a kickstand... how novel! Can MINI be a Mindset?